Learn about the current state of Bossier Parish as officials report on the community. Hear from mayors, the police jury president, and others to discuss economic development and the annual report. Also hear the parish’s accomplishments as the community looks to the future. Tickets are $45. Egg hunts aren’t just for children. Enjoy this Easter tradition as a grown-up. Journey through the East Bank District searching for eggs hidden in businesses, the plaza, sidewalks and more. Be sure to bring your own basket. View a BPCC twist on a time honored tale. 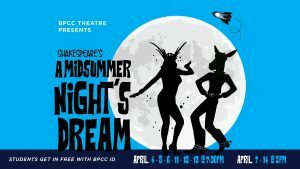 William Shakespeare’s A Midsummer Night’s Dream explores an intertwined love story between four characters that becomes complicated when a group is rehearsing a play. This story leaves audiences wondering, was it a dream or was it a reality? Tickets are $12. To schedule your reservation, call the box office at 318-678-6021 or go to bpcc.edu. 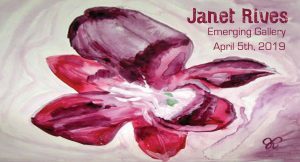 Meet the new emerging artist Janet Rives during her opening reception at the East Bank Gallery. View Rives ebb and flow of sketches and watercolors as she explores the beauty of God’s creation. The show will be on display April 2-May 31. Did you know that in military families, the children serve too? Honor the younger heroes and treat them to a special day packed with fun. This event is free and open to military families. Photos with the Easter Bunny are just a hop, skip and a jump away in Bossier City. Make some memories and dress your children in their best to meet the bunny and add to your Easter tradition. Reserve your space and skip the line with a FastPass if you purchase tickets before April 14. Celebrate the best of the music from the millennium. Dance to rap and R&B songs that topped the charts in the 2000s. VIP tickets are also available but are limited. Doors open at 7 p.m. 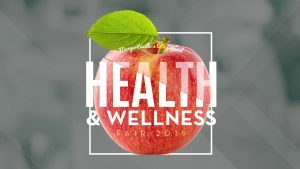 Learn more about wellness and better your health at the annual fair. Benefit from free health screenings and prizes. Bone density tests are available for $10. Also, donate blood during the drive for LifeShare Blood Centers. Feast on chocolate and champagne for a night of fundraising for Easterseals services. This annual event showcases local vendors, plus live music and a silent auction. Also, Sid Potts will be honored as the recipient of the Lily Award. 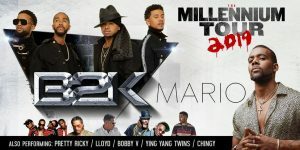 Individual tickets are $100. 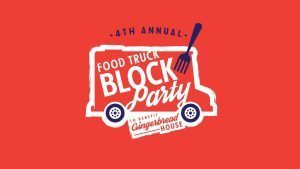 Experience some of the best food trucks in Bossier City at the annual block party. Each truck will donate a percentage of the proceeds to the Gingerbread House. Live music will be provided by The Good News. Plus children’s activities provided by Bossier Parish Libraries.